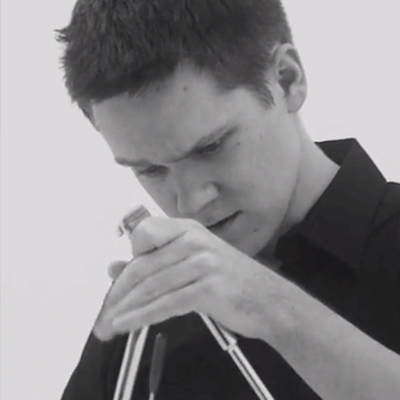 Tim Berg, M.M., is a percussionist, composer, and educator currently residing in Chicago, Illinois. He has taken music lessons since age six and has played piano, guitar, drums, and mallet percussion professionally since recording his first CD at the age of fourteen. A graduate of Maine South High School in Park Ridge, IL, Mr. Berg studied with Darren Scorza and Kevin Connelley in the Chicago area throughout high school up to his acceptance as a scholarship student of William Moersch and Ricardo Flores at the University of Illinois. He holds degrees in Percussion Performance & Literature as well as Music Education. As an arranger and performer Mr. Berg is best known for his work on the steel pan. Currently he is working on recording original arrangements of J. S. Bach's Sonatas and Partitas for Solo Violin on solo tenor pan. His steel pan music and arrangements span a variety of genres from traditional calypso and soca to classical chamber music to popular video game songs. In the past Mr. Berg has toured and recorded with Bones Jugs (formerly Bones Jugs N Harmony), playing steel pan, xylophone, drum set, guitar, and many other toy percussion instruments. He was credited on three albums of both original music and covers and has performed at venues and festivals all across the United States. In addition to his duties directing Drumshow, Mr. Berg also acts as the director of the Naperville District 203 Steel Pan Program, writes and teaches for the Lincoln-Way Marching Band from New Lenox, IL, and is the Front Ensemble Coordinator/Digital Designer for The Academy Drum & Bugle Corps from Tempe, AZ. He is a proud endorser of Innovative Percussion sticks and mallets and is very excited to be a part of Drumshow! Brandon Estes, Associate Director of Bands and Director of the Marching Redhawks at Naperville Central High School, has been an active arranger, clinician and adjudicator throughout Illinois, the Chicagoland area and throughout Texas. A native of Houston Texas, Mr. Estes holds a B.M. in Music Education from Texas State University – San Marcos where he studied percussion under Genaro Gonzalez, Tony Edwards and John Lopez. 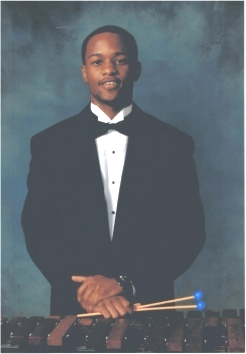 He earned his Master's degree in Music Performance from Northern Illinois University, where he was Graduate Percussion Assistant to Professor Robert Chappell and Dr. Gregory Beyer with further studies under Richard Holly, Liam Teague and Clifford Alexis. Mr. Estes' extensive drum corps marching experience includes membership with the Pioneer as well as the Madison Scouts Drum and Bugle Corps between 1998 and 2002. In 2005, he served as Co-Arranger and Percussion Caption Head of the Blue Stars Drum and Bugle Corps and in recent years has worked with the Phantom Regiment. Mr. Estes is entering his 10th year as a performing member with the Chicago Bears Drumline, in which he has served as Director since 2011. He was also a founding member of the Chicago Bulls “Stampede” Drumline. The Chicago Bears Drumline was proud to complete two international performance visits to London, England in 2011 and 2012. As an orchestral performer, Estes has performed with the Austin Symphony Orchestra, the Chicago Sinfonietta, the Elmhurst Symphony of Elmhurst, Illinois as well as the Hong Kong Philharmonic Orchestra in Tsim Sha Tsui, Kowloon, Hong Kong. Mr. Estes is also a founding percussion performer with the Chicagoland Educators Orchestra, under the direction of Lieutenant Colonel Bryan Miller of the Air National Guard. Mr. Estes enjoys spending time with his wonderful wife, Natasha, and their daughters, Bailey and Harper. 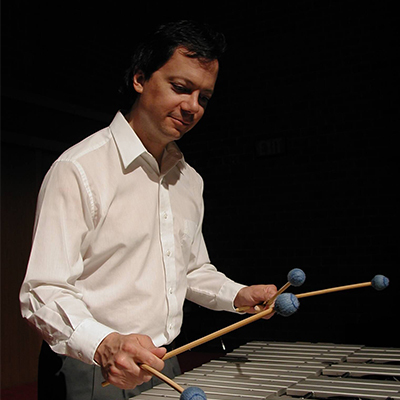 Not only is Brad Stirtz equally comfortable performing at the vibraphone, steel pans, piano, pipe organ, or drum set, but he is just as likely to be found composing, conducting, or arranging music. A native of Minden, Nebraska, Mr. Stirtz studied music at the American Conservatory of Music in Chicago, culminating in the Master of Music degree in percussion performance. He recently received a second Master’s degree from Concordia University Chicago. Brad's career has spanned the globe. On several mission trips to Uganda, he directed choirs in the capital city of Kampala and neighboring Jinja, culminating in a studio recording of the choir. He is one of few Americans adept at the construction and playing of the Amadinda xylophone of this East African region. As Director of Music at Peace Lutheran Church in Lombard, Illinois, Brad directs choirs, orchestra, and small ensembles. He has particularly excelled at arranging and adapting the music of the church to lead worship services featuring African music, Caribbean music, and Latin American music. As a teacher, Brad serves on the faculty of North Central College, and has served on the faculties of the American Conservatory, Roosevelt University, Benedictine University, and Northern Illinois University. He has been a member of the faculty at Birch Creek Music Academy in Door County, Wisconsin for over 30 yrs.